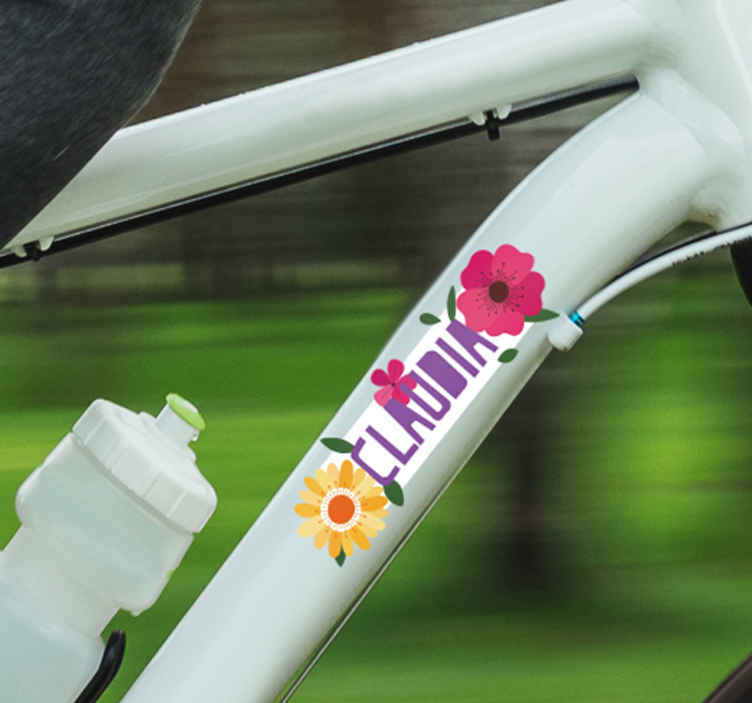 Decorate your bicycle with this fantastic bike sticker, depicting a set of flowers, together with a customisable name! Ideal floral decor if you love to ride your bike and you also love flowers! Can be customised with any name to only further add to the personalised appeal!